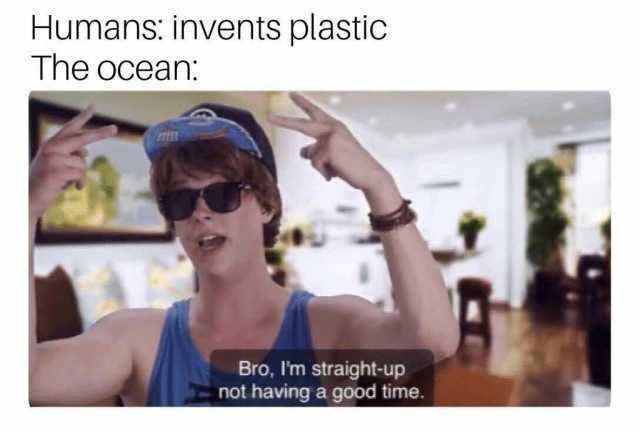 dopl3r.com - Memes - Humans invents plastic The ocean Bro Im straight-up not having a good time. Humans invents plastic The ocean Bro Im straight-up not having a good time. coelasquid I am pleased to make your acquaintance. Allovw me to greet you in the way of your people with a customary human hand-touch. At the end of the day we are all human beans And together we will rice.